In 1657, the English East India Company was granted a charter to govern Saint Helena by Oliver Cromwell, and the following year the Company decided to fortify and colonise the island with planters. The first governor, Captain John Dutton, arrived in 1659, and it is from this date that St Helena claims to be Britain’s second oldest remaining colony, after Bermuda. A fort was completed and a number of houses were built. After the Restoration of the English monarchy in 1660, the East India Company received a Royal Charter giving it the sole right to fortify and colonise the island. The fort was renamed James Fort and the town Jamestown, in honour of the Duke of York and heir apparent, later King James II of England. Because of the massive distance from north to south (over 3,600 kilometres (2,200 mi)), the territory has various climates. Ascension has a warm, arid climate, with temperatures all year long into the 20°C. St Helena is more moderate (and arid near the coasts). Tristan da Cunha, being closer to the Antarctic Circle, is much cooler and a lot wetter. The uninhabited southernmost Gough Island is wetter and has freezing winter temperatures. Most residents of St. Helena belong to the Anglican Communion and are members of the Diocese of St Helena, which has its own bishop and includes Ascension Island. 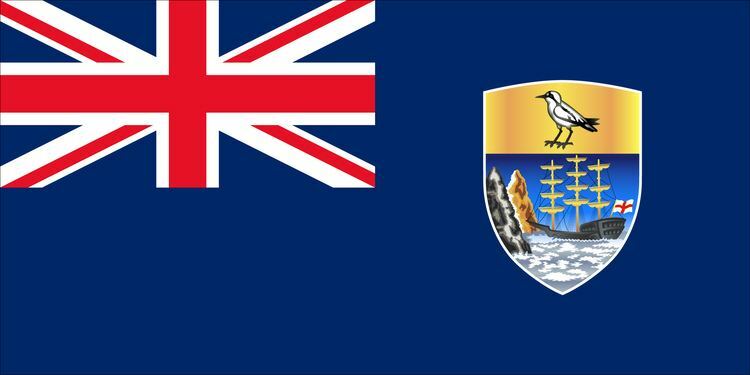 The Catholics are pastorally served by the Missio sui iuris of Saint Helena, Ascension and Tristan da Cunha, whose office of ecclesiastical superior is vested in the Apostolic Prefecture of the Falkland Islands. The last operating Royal Mail Ship—RMS St Helena—runs to and from Cape Town (and less frequently to and from the UK, and sometimes via Walvis Bay in Namibia) to the islands. It continues to operate, even though it was due for decommissioning in 2016, due to difficulties for aeroplanes to land at St. Helena. Each of the three main islands has a harbour or small port, situated in the islands' chief settlement (Georgetown, Jamestown, and Edinburgh). A military airfield exists on Ascension Island (RAF Ascension Island), though potholes on the runway resulted in the April 2017 cancellation of all but essential personnel/supply flights as well as emergency medical evacuations. Regular RAF flights connected Ascension with RAF Brize Norton in the UK and RAF Mount Pleasant in the Falkland Islands, a transport link called the South Atlantic Air Bridge. The flights were mainly to transport military personnel, though the RAF did allow fare-paying civilians to use them. Ascension Island is also used by the US military (which supply the base using MV Ascension) and was a designated emergency landing site for the Space Shuttle program. At present there is a civilian airport on Saint Helena island, with no regularly scheduled commercial flights. The islands of Tristan da Cunha can only be accessed by sea.